Occasionly , one comes across an article that is top drawer. What's unusual about this one is it source ... The Daily Chuckle ! How London's streets are paved with dirty money... and this anonymous door on Harley Street is home to 2,159 shadowy shell companies. Looking up on an autumn evening at the windows of Britain’s most expensive and desirable apartment block, One Hyde Park, it is hard not to notice an odd anomaly. Very few of the lights are burning. At the top of this modernist block, built as a joint venture between its developers, the Candy Brothers, and a firm belonging to Qatar’s former prime minister, is a penthouse. In 2010, it sold for £140 million — making it at the time the most expensive flat in the world. The development is owned offshore, beyond the reach of Her Majesty’s Revenue and Customs or other British authorities, as are most of the flats within. It is hard to say exactly how much living here would cost or who the inhabitants are. But whoever lives at One Hyde Park, most of them don’t appear to spend much time at home. This is not unusual. With a group of friends, I help run trips called the London Kleptocracy Tours: we fill up a bus with 50 sightseers, rather as if we were taking them round Hollywood to see where Clark Gable used to live or Scarlett Johansson gets her hair cut. Instead of showing them stars, however, we show them more dubious characters. Across central and west London, our guides point out properties owned by ex-Soviet oligarchs, the scions of Middle Eastern political dynasties, Nigerian regional governors and all the other people who are hiding fortunes. On the route is Eaton Square in Belgravia, now perhaps London’s most prestigious address — a magnificent oblong of grand, cream-painted, four-square houses behind shoulder-height black railings. One of the cheapest at a mere £15 million was recently commandeered by anarchist squatters. It belongs to Andrei Goncharenko, a manager at a subsidiary of the Russian gas giant Gazprom, who bought a string of properties in the capital between 2011 and 2014. Goncharenko’s temptingly empty mansion was just one of 86 properties on Eaton Square alone that is held via the kind of anonymous financial constructs that prevent anyone, including the taxman, from finding out who the true owners are. Any one of these properties could be owned by a crook, but it’s impossible to say which ones. One apartment stretches across a single floor of two adjoining buildings, and cost £13m: it is owned by Cane Garden Services Ltd, a British Virgin Islands company that is registered in London at a betting shop on the Caledonian Road — a part of North London where you’d be more likely to find takeaways. Is this a red flag? Perhaps, or perhaps not. When you start looking for red flags, you see them everywhere. Two houses, Nos. 85 and 102, are both owned by companies registered in Hong Kong. The Liberian company that owns No. 73 is registered in Monaco. One flat in No. 86 is owned by the Panoceanic Trading Corporation, a Panama company whose name appears to belong in a Sixties spy thriller by Len Deighton or Ian Fleming. Surely a crook wouldn’t be that obvious? Or is this a double bluff? Faceless companies based in the British Virgin Islands in the Caribbean own some 30 of these properties. Thirteen more are in Guernsey, 16 in Jersey. Others are in Panama, Liechtenstein, the Isle of Man, Delaware, the Cayman Islands, Liberia, the Seychelles, Mauritius and St Vincent and the Grenadines. Goncharenko himself preferred Gibraltar as home for his company MCA Shipping. And Eaton Square is just one example. Just as many properties in the adjoining streets are owned offshore, all intermeshed in a great web of confusion and deceit that extends as far as Britain does and then much further. The rich businessmen, corrupt politicians, larcenous public officials and drug traffickers hiding in the web are able to pick and choose what laws they obey. British law requires people to publicly declare their company ownership. The law in Mauritius does not. Those who can afford to base their companies offshore are granted a privacy that is denied to everyone else. The rich have set up a new global nation, an invisible country that I call Moneyland. It has no geographical borders, and its financial regulations are as flexible as smoke. It exists solely to enable the wealthy and corrupt to hide money and avoid taxes. By some estimates, a fifth of all the world’s cash is currently secreted in Moneyland, where governments cannot see it, let alone levy taxes on it. Borders are for the little people. Moneyland is a place where passports of many nations are for sale. And yet British laws can be made to apply, when convenient: our libel laws can be invoked to silence reporters, for example. In Moneyland, you really can pick and choose the rules. The offshore model is too lucrative to be ignored. Any autonomous island, such as Jersey in the Channel Islands, can take advantage of its natural offshore status to alter its laws and attract the Moneyland wealth. Jersey, now a financial centre in its own right, began helping Britons to hide their money in the Sixties. Its speciality is the trust, a tool that allowed families to pass down property through the generations without paying tax on it. You might live in a Mayfair penthouse, for example, worth millions –— but if it was owned by a trust based in Jersey, with a legal arrangement to pass it to your grandchildren on your death, you could sidestep death duties. Jersey is a very wealthy community, thanks to the offshore business. Not everywhere fares so well. The Caribbean island of Nevis, where there is no corporate tax levied on companies registered there, is the legal base of 18,000 companies. Far fewer people actually live on the island — and many of those who do earn subsistence wages as cooks and cleaners for those operating the international businesses. Billions of dollars from Russia alone have been funnelled through Nevis. Who controlled them, and who profits, cannot be said: the island has a strict policy of secrecy around all business matters. All questions are met with a wall of silence. Moneyland is a recent invention. Once upon a time, if a corrupt official stole millions, there wasn’t much he could do with it. He could buy himself a nice car or build himself a new house, or give it to friends and relatives, but his appetites were limited by the fact that the local market could not absorb endless sums of embezzled money. The banknotes would just pile up in his house until they were eaten by mice. Two things changed the economics of illegal cash: the arrival of offshore finance, and shell companies. Some people call shell companies ‘getaway cars for dodgy money’ but, when combined with electronic financial systems, they are more like magical teleporter boxes: stash your stolen funds in a shell company, press a button and it is spirited away out of your country to any destination you choose. The best way to think of a shell company is like a bag for dog’s mess. The embezzled money or untaxed income is the dirty stuff that no one wants to touch. Once it’s inside a bag, it’s easier to handle. Pop that bag into another bag, and slip that bag inside another, and now nobody can even tell that the mess in the middle ever existed. Shell companies are just empty bags. It’s almost impossible to tell who owns them, since they’re typically set up in one country — for example, the Bahamas — and then wrapped in another bag or company, set up somewhere else entirely — for instance, the Isle of Man. Repeat this process until not even an army of forensic accountants could unwrap all the bags and find the dirty money. That’s the sleight of hand that makes Moneyland so impenetrable to tax collectors and banking regulators. Because it doesn’t exist on any map, no government can declare war on Moneyland and send in an army, implement sanctions or despatch diplomats for talks. But there are physical doorways into Moneyland, like rabbitholes, if you know where to look. One of these is No. 29 Harley Street, on the tree-lined road running north from Oxford Street, the home of private healthcare. No. 29 is a stone-fronted terrace house, barely five minutes walk from the Royal Society of Medicine, with a dark-stained wooden front door. As of April 2016, it was the legal address of 2,159 shell companies. One, Blythe (Europe) Ltd, was registered on Harley Street but owned by P&A Corporate Services Trust Reg, of Vaduz, Liechtenstein — a central European micro-principality which has mysteriously survived into the modern age, and which does not reveal who owns its companies. Blythe owned an Austrian company, which owned a Ukrainian company called Tantalit, and that owned a five-storey luxury log-built palace outside Kiev called Mezhyhirya. In 2014 it was seized by Ukrainian rebels, who overthrew the country’s deeply corrupt president, Viktor Yanukovich. At a time when the economy of Ukraine was stagnant and its people were destitute, President Yanukovich had amassed a fortune of hundreds of millions of dollars. His obscene wealth was no secret, but when rebels burst into the palace grounds they were staggered by what they discovered. An ostrich collection inhabited a private zoo, amid water gardens, a golf course, a nouveau-Grecian temple, a marble horse and an enclosure for shooting wild boar. Inside the cabin were waterfalls, fountains and statues. It was a cathedral of kitsch — which also featured an oriental temple carved from elephants’ tusks, a Picasso vase, antique rifles and swords, corridors lined with portraits of the president, and a flayed crocodile pinned to a wall. All this, remember, was owned not by Yanukovich but by Blythe (Europe) Ltd, which was to be found in the highly respectable confines of No. 29 Harley Street. It’s like discovering that the New Jersey mob was operating out of a Quaker meeting house. The appeal of No. 29 to a greed-drunk thug like Yanukovich is obvious: it gave a respectable gloss to what was essentially an act of identity fraud. Of course Blythe had no physical presence in Harley Street — like the 2,158 other companies registered there, it had no need of filing cabinets or conference rooms. They just needed the address, a sort of posh postbox. The real tenant, since 2001, has been a company called Formations House: its role is to create new companies. A standard limited company costs just £95. According to the website of Formations House, more than 10 million companies have been conjured into existence at the address in the past 16 years. For a monthly fee, these businesses can pretend that No. 29 Harley Street is their physical home. Receptionists will answer the phone in any company’s name, and forward mail, thus conferring glamour and respectability. It isn’t only money that can be laundered. Reputations can be cleaned up in Moneyland too. There is an established pathway for rich foreigners to enhance their respectability, by using the UK’s libel laws to their advantage. They hire a PR agency to put them in touch with useful parliamentarians, either MPs or lords, who agree to act as patrons of the billionaire’s charitable foundation. This generous institution launches amid much razzamatazz in London, promising to educate children or promote sport for the disabled. The billionaire hosts conferences with minor royals and former politicians among the speakers. He invites ministers for working holidays aboard his yacht. Now he has a media profile and a reputation as a philanthropist to protect. If any journalist, anywhere in the world, makes hints or accusations about the shady sources of his billions, he can sue for defamation — in the British courts. The claims don’t even have to appear in British publications: it’s enough that the billionaire’s lawyers can prove that, because of the internet, the allegations spread to the UK. Libel cases in this country can end in multi-million pound settlements — enough to bankrupt just about any journalist. London has been at the heart of Moneyland since the beginning. After World War II, Allied economists drew up worldwide financial safeguards, such as the International Monetary Fund, to prevent dictators from manipulating the money supply and stoking wars by ruining their neighbours. To prevent speculators from trying to attack this system of fixed currencies, cross-border money flow was severely constrained. That was why, as recently as the late Seventies, strict limits were imposed on how much cash British tourists could take when holidaying abroad. The system started to come apart at the seams in the Sixties, with the invention by bankers of so called ‘eurobonds’ — pieces of paper that represented cash held in Swiss banks and other hidden places. When the bonds reached their maturity date, they paid out with interest, to whoever was holding them. There was no signature required, no log-book, no deed of ownership, and because they stemmed from offshore funds — beyond the British and every other major government’s reach — they attracted no tax. Eurobonds were developed by banker Siegmund Warburg, and the bond issue was led by one of his most brilliant fixers, a Scottish war hero-turned-journalist turned banker called Ian Fraser. tax. Despite these contortions, he persuaded the London Stock Exchange to list the bonds. Bingo: a highly convenient bond that paid good interest, attracted no tax and could be turned into cash anywhere in the world. Unsurprisingly, eurobonds were very attractive to military dictators in Africa and South America, looking for some means of stashing away loot quickly. This was a lot more practical than a mansion full of banknotes. But warlords and corrupt politicians made up only 20 per cent of the investors: four-fifths of eurobonds were bought by ordinary, law-abiding people, wealthy upper-middle class Europeans who disliked giving so much of their hard-earned salaries to the national treasury — ‘Belgian dentists’, in banking parlance. This is the tip of Moneyland’s most powerful secret. It does not exist only for the organised criminals, the drug dealers and industrial-scale embezzlers. Anyone with cash to hide from the government can take advantage of its systems, and that means Moneyland is protected by the complicity of huge numbers of wealthy people. Just because most of Moneyland’s wealth does not stem directly from corruption and crime, that doesn’t make it harmless. The damage goes far deeper than Belgian dentists avoiding tax. When such practices become more accepted among certain wealthy groups, the attitude spread downwards, until it affected much more of society. That’s why Moneyland brings double standards — and sometimes corruption — right to our doorstep. We cannot ignore it, yet there’s a prevalent attitude in the UK that, as long as this dirty money is flowing into our economy and not out, we can afford to turn a blind eye. Britain is a friendly place for Moneylanders: there’s a reason why so many Russian oligarchs have homes in London, and it’s not the weather. But violence and lawlessness is only the push of a button on a bank’s computer screen away from here now. The misery in distant countries will become our misery, too, if we don’t act to stop it. Very few articles published on this forum will compare with this one. MONEYLAND ... I like it. Perhaps DIRTY MONEYLAND a little more apt ? 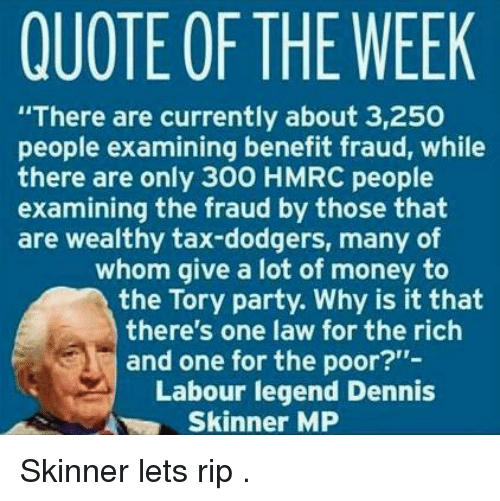 Re: Tax Dodging / Avoidance / Offshore / Dodgy Schemes ? Welcome To ... Dirty Moneyland ! UK frustrated by Cayman Islands silence on money laundering. British law enforcement officers fighting money laundering are being frustrated by a lack of co-operation by the authorities in the Cayman Islands. The National Crime Agency said it was "asking for information we don't get". It says it has also significantly stepped up efforts to seize dirty Russian money coming into the UK. It has also launched investigations into British-based lawyers and accountants suspected of facilitating money laundering. The NCA leads the UK fight against money laundering and criminal money, which it estimates could be worth up to £1bn a day. A number of its investigations have led it to offshore firms registered in the Cayman Islands, which is a British Overseas Territory in the Caribbean and one of the world's largest financial centres. Donald Toon, director of the NCA, revealed the Cayman Islands authorities had not co-operated when he had asked for information on who owned these firms. He said that usually when his officers asked British Overseas Territories for help "we can generally get from them clear, unambiguous beneficial ownership information but we are having a difficulty with Cayman". "The Cayman government is entirely aware of the UK concerns," he said. What will be our Government's response? A task force to reclaim our own territory ? The farce goes on ... too much at stake for our own rich to feel just a little nervous ??? Panama yesterday ... Cayman Islands today ... tomorrow , back to the Isle of Man ? Dirty money never rests ... even air mile reward vouchers on every move ? Last edited by Chris From The Gulag on Wed Oct 24, 2018 9:05 am, edited 1 time in total. One from today's Guardian ... enjoy ! Banker's wife may lose property worth millions after UK court ruling. Failure by ‘Mrs A’ to explain source of wealth could result in civil proceedings to seize it. Counsel for the NCA described the luxury lifestyle of Mrs A, who spent £16m at Harrods over 10 years, at a hearing before the high court in July. Her husband’s net worth was reported to be $72m. The UWO was issued in respect of a property bought in 2009 for £11.5m via a company in the British Virgin Islands. A £7.5m mortgage was also taken out against the property from Barclays Suisse. In 2015, while applying for indefinite leave to remain in the UK, Mrs A told the Home Office that she was the beneficial owner of the BVI company. However, regulators in the Caribbean tax haven told NCA investigators that the company’s true owner was Mrs A’s husband, Mr A, who also cannot be named for legal reasons. For 14 years, Mr A was the chairman of a state-owned bank in a non-EEA country. He resigned in 2015 and was later accused of “misappropriation, abuse of office, large-scale fraud and embezzlement”, according to the judgment. He denied the charges but was convicted at trial and jailed. The UWO was issued against Mrs A in Februarythis year, freezing the property and requiring her to explain how she had obtained the funds used to procure it. Failure to explain how the property was acquired could potentially result in civil proceedings being initiated to seize it. Her appeal against the order was dismissed by Mr Justice Supperstone following Wednesday’s judgment. Her legal team has have seven days to appeal against the decision and apply for her anonymity to be extended. UWOs were introduced into British law last year amid escalating concern that the UK housing market was being used for money-laundering. The NCA has previously estimated that £90bn of criminal funds are laundered through the UK each year, with the London property sector being particularly vulnerable, and campaigners calling London “the money-laundering capital of the world”. Donald Toon, the NCA director for economic crime, said: “I am very pleased that the court dismissed the respondent’s arguments today. This demonstrates that the NCA is absolutely right to ask probing questions about the funds used to purchase prime property. Duncan Hames, the director of policy at Transparency International UK, welcomed the ruling and applauded the court’s decision to hold the hearing in public. “The UK has been long identified as a safe haven for corrupt money and despite successive governments recognising this, money-launderers have continued to hide their ill-gotten gains here,” he said. Earlier this year, the government passed a law requiring offshore owners of British property to disclose their true identities to a central register or face jail sentences and unlimited fines. One down , how many thousands more to follow ? £ 90 BILLION ... can we sequestate that as part payment of what we're owed ? I hasten to add that I am NOT the Mrs A referred to in the above article. Trouble is Mrs. A , claim a £ 1 more in benefits than you ought to have done and ... more chance of having your collar felt ? Can't have anyone taking advantage of the Tax ... sorry ... Benefit System ... can we ? Caree paying a carer monies received from AA or PIP ? Caree then claiming income related benefits ? They'll need 32,500 in that team of theirs ???
" Well squire , you've been caught out ... £ 10 million times over ! " " If I make it £ 11 million , throw in a knighthood ? " " Well squire , you've been caught out ... £ 10 times over ! " " Have mercy on me ... please ? " " Local beak ... plead guilty ... repay the £ 10 ... and the £ 800 fine and court costs ! " YEP ... THAT HOW OUR WONDERFUL SYSTEM WORKS ... FOR CENTURIES ? Breathe a little easier Mrs A. ... all is now revealed ... there goes me 50p at 50-1 ! Woman who spent £16m in Harrods revealed. Mrs Hajiyeva - who is originally from Azerbaijan - lost a legal battle to stay anonymous after the media argued the public should know the full facts. The wife of a former state banker spent £16m in Harrods over a decade. She also bought a house close to the store - and a golf course in Berkshire. Enjoy your round of golf tomorrow ... on the house ... allegedly ? Offshore wealth : loopholes found in EU anti-tax evasion rules. Be seen to being doing something but actually doing nothing. Where have we all seen that before ... not mentioning any organisations ??? Google woos the Tories to avoid paying a reasonable amount of tax. GOOGLE, like other tech firms, is facing real political pressure over content, regulation and taxations. So it is turning to standard lobbying techniques, which were very visible at the recent Conservative conference. The three basic techniques are (1) hire political insiders, (2) promise self-regulation to head off real regulation and (3) promise/threaten to give/take jobs and investment. Campaigners from UK Uncut and campaigning journalists have put tax avoidance by big corporations on the political agenda. The parents of a friend of mine were both tax inspectors. In a "cost cutting" exercise by HMRC overtime was banned. Every hour they worked they could recoup unpaid tax to the value of many, many times their salaries. Maybe the government should have had a few lessons in cost/benfit analysis? Or didn't the politicians want their friends to be caught?!?! As if you didn't know the correct answer , BB ? Wealth and power ... wealth and ... power. To best protect wealth , it helps with your pals ( Of all political hues ) being in power.